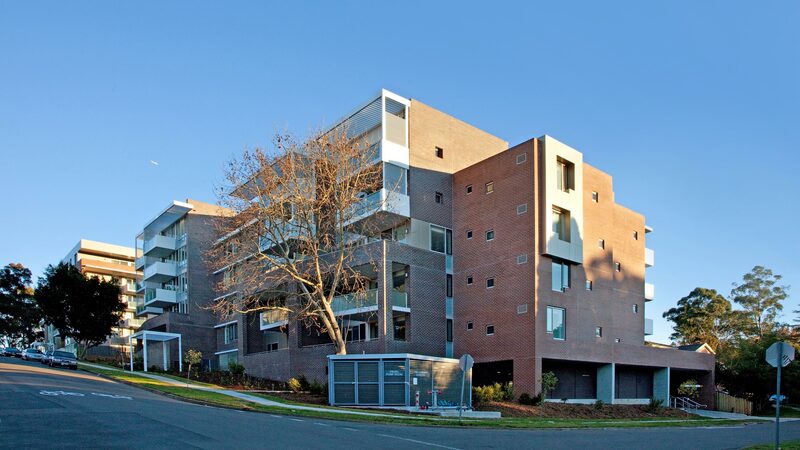 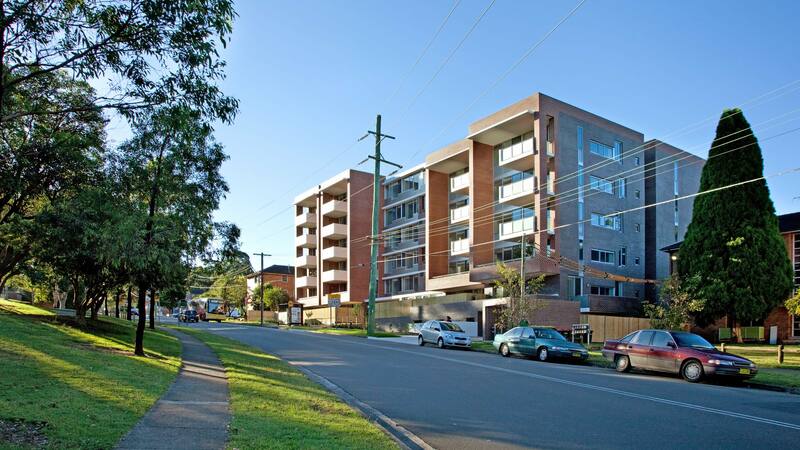 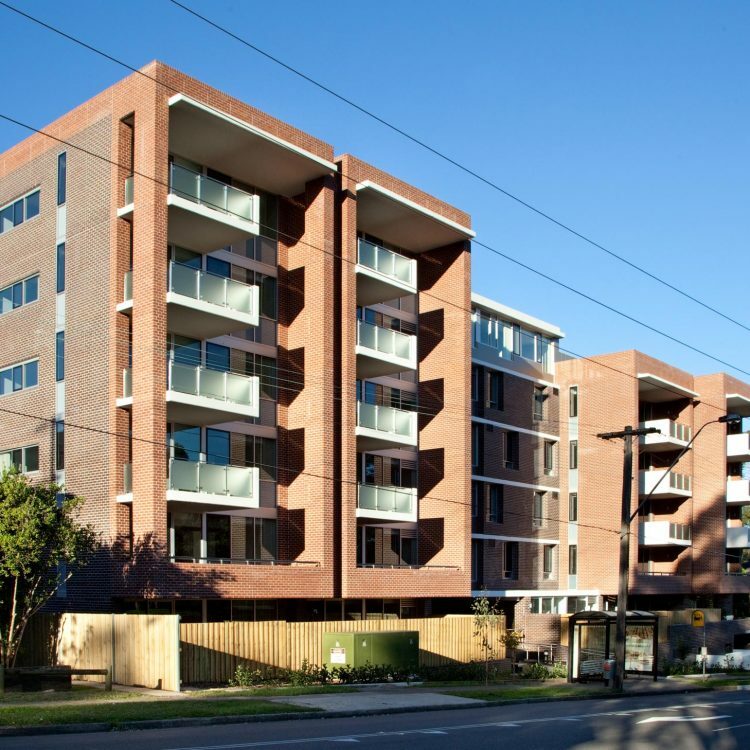 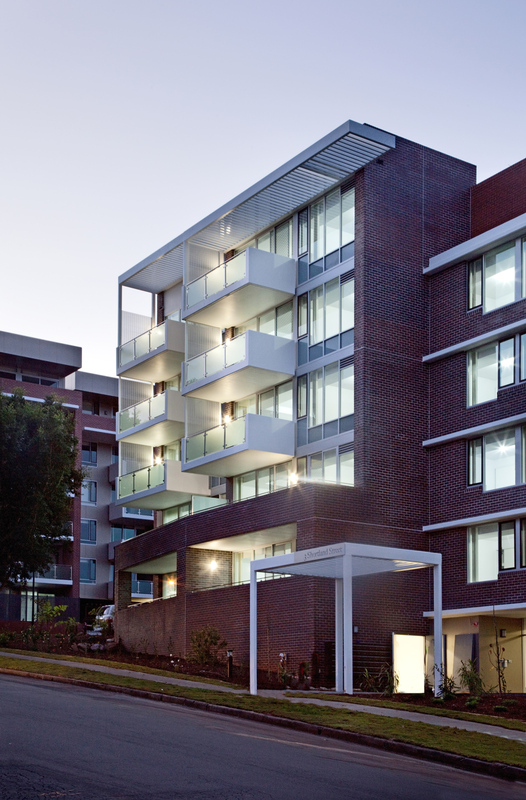 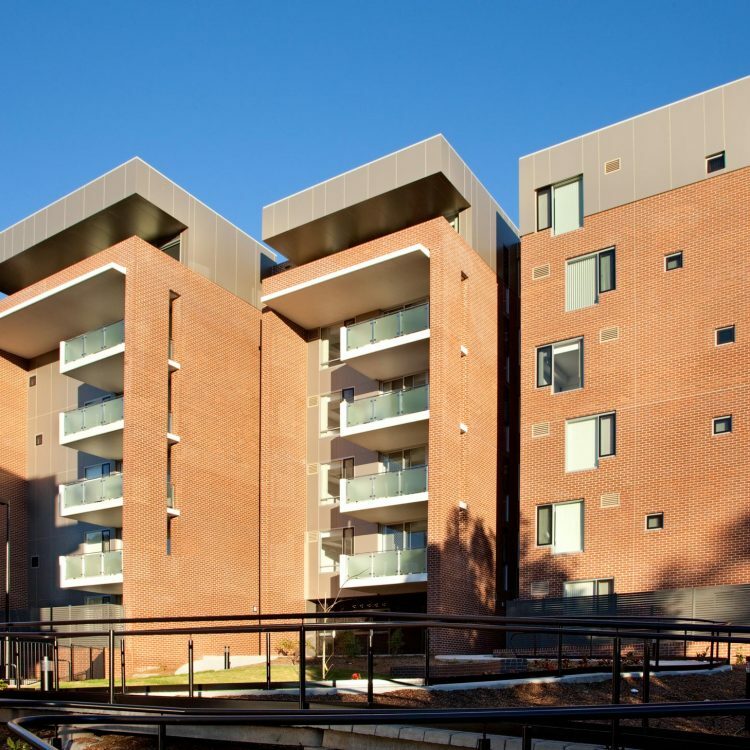 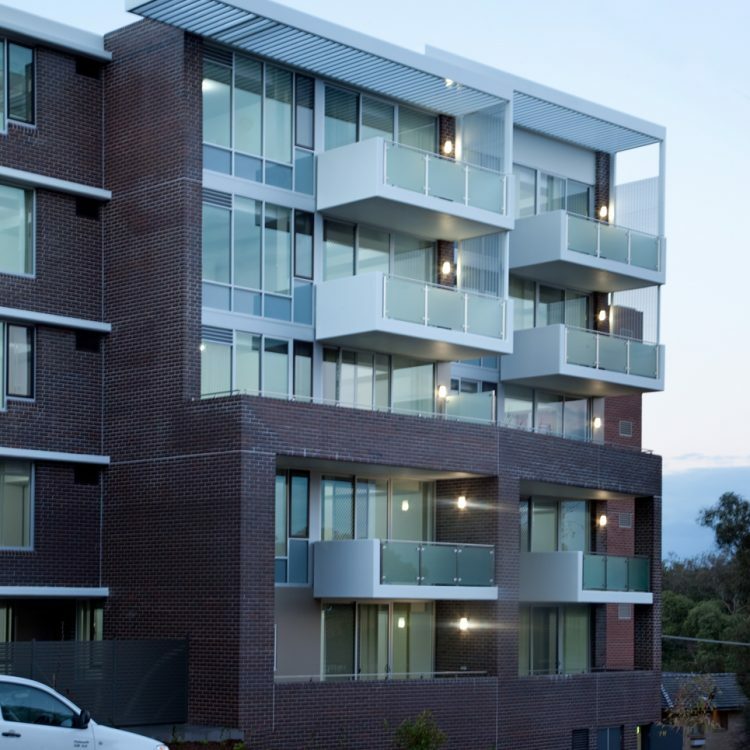 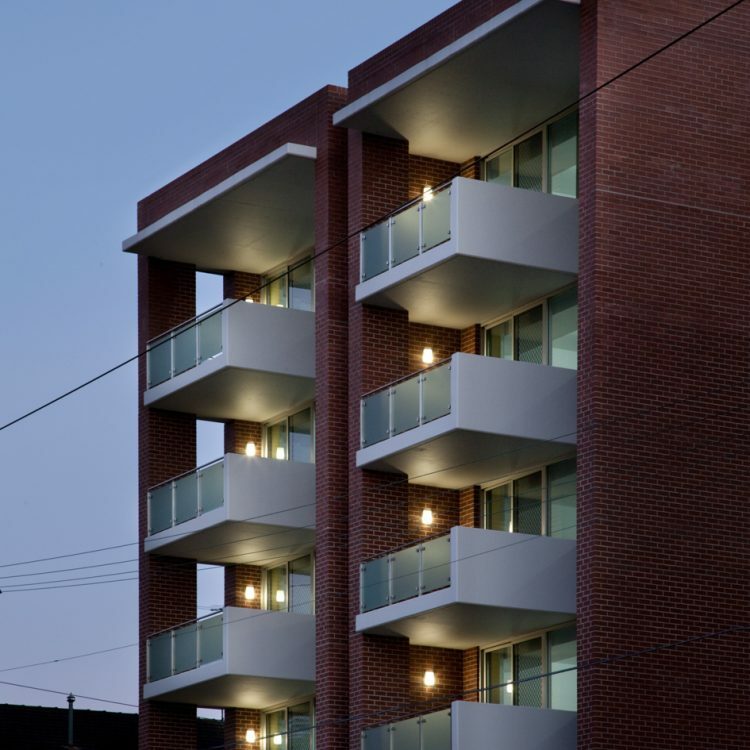 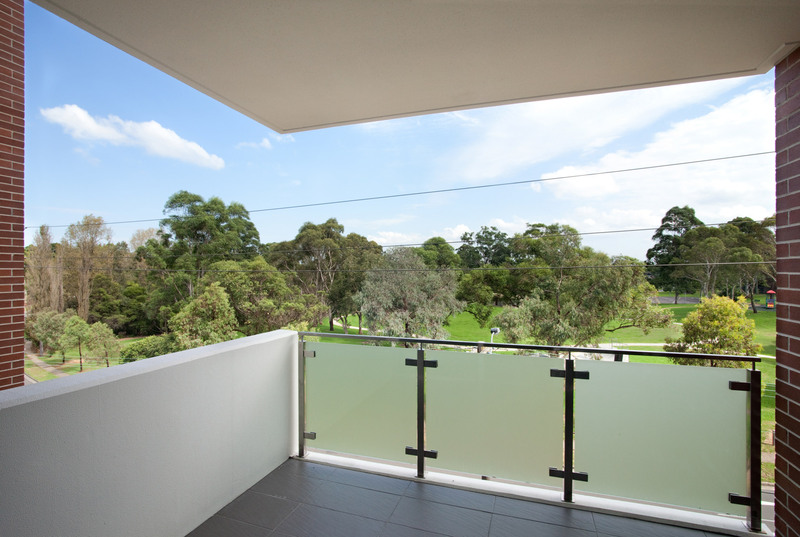 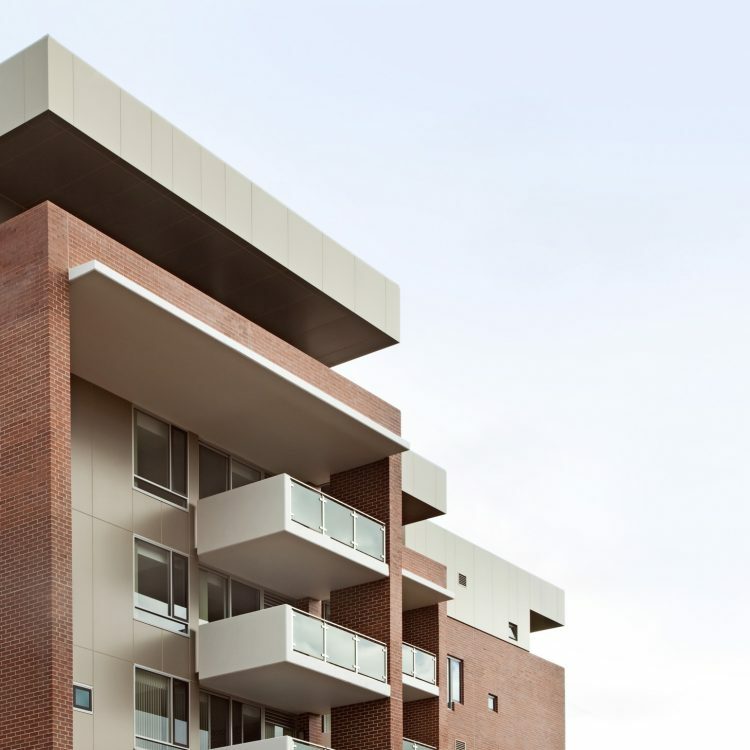 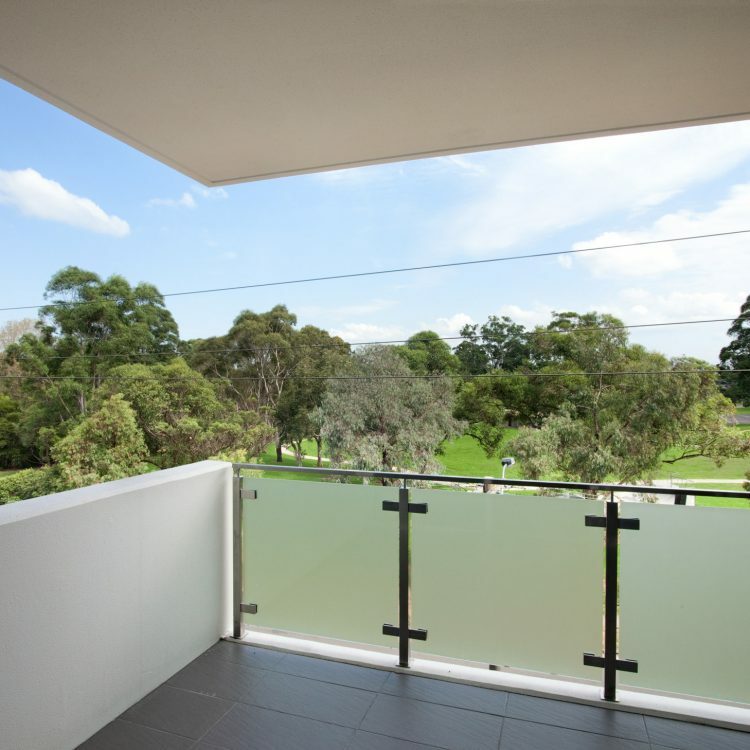 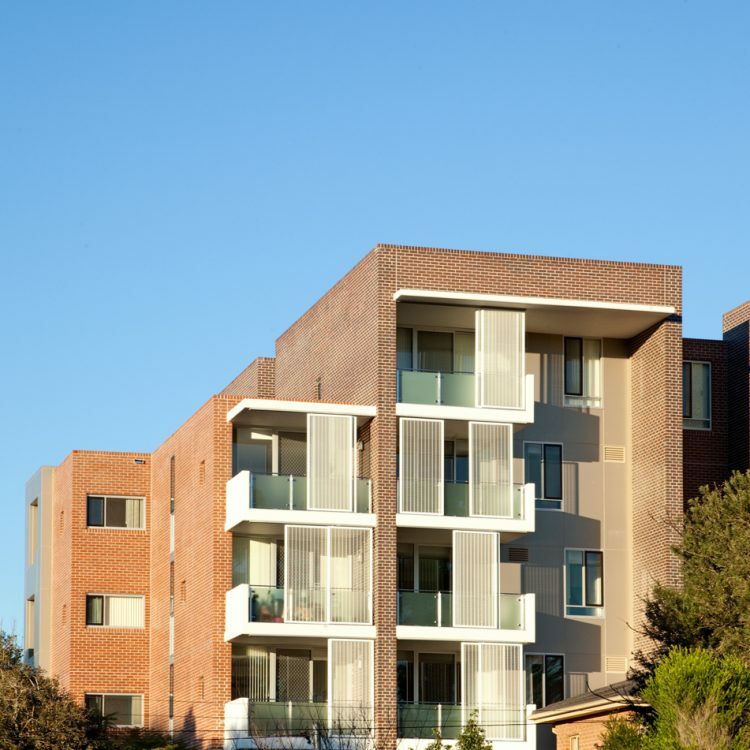 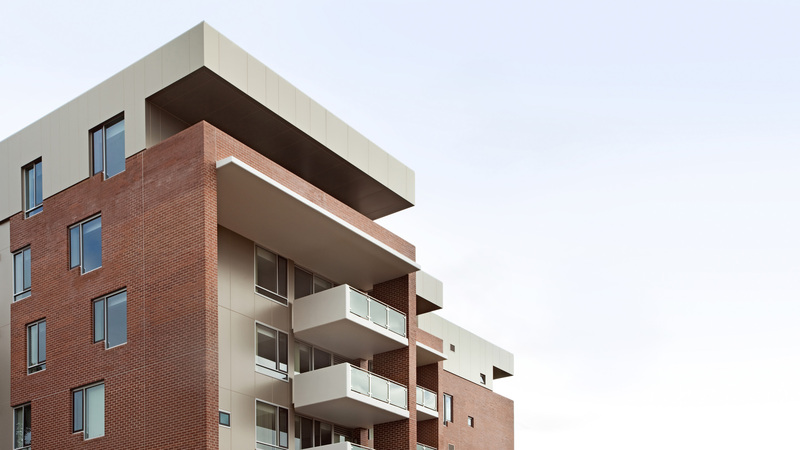 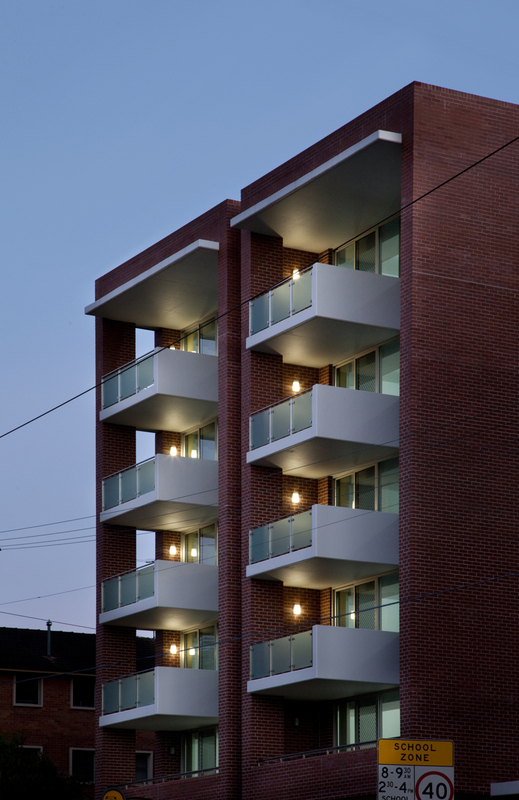 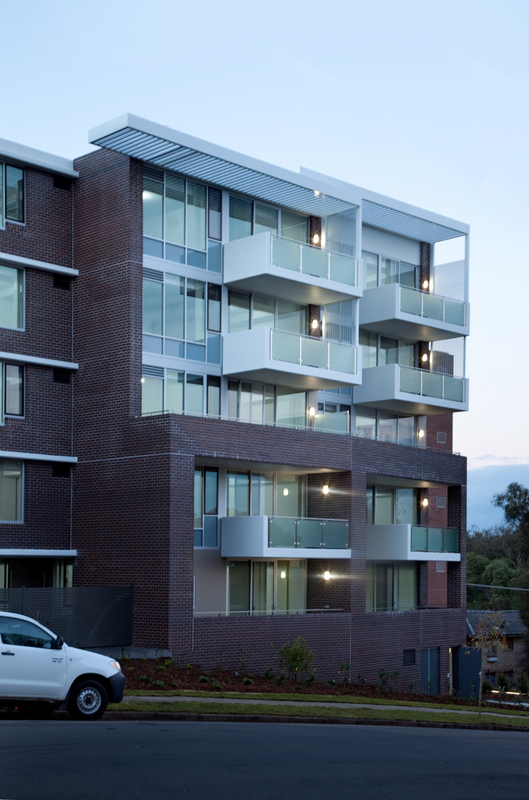 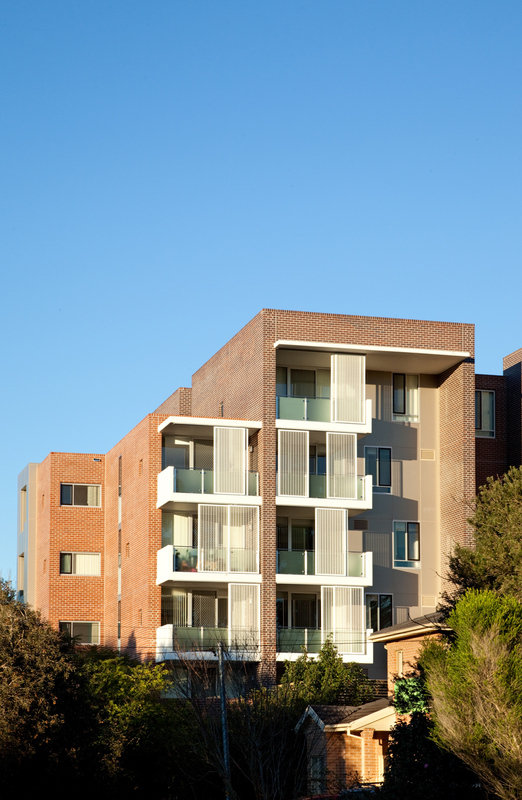 Winner, Multiple Housing Award in the AIA NSW Architectural Awards 2013. 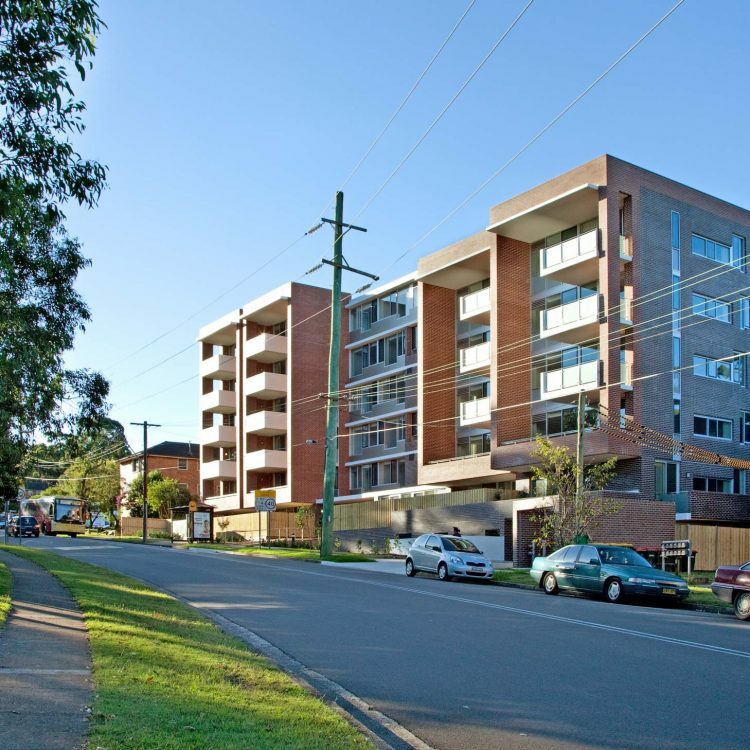 A masterplan for the precinct presents a vision for increased density around the Telopea rail station. 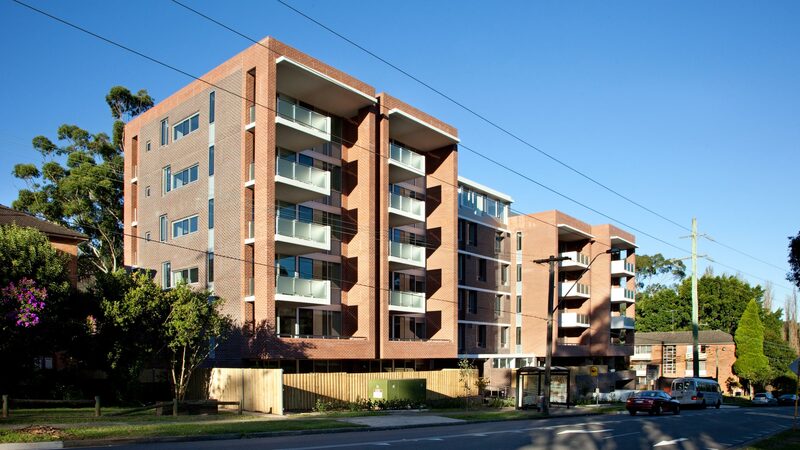 The two sites that form this development were the first within the precinct to be constructed. 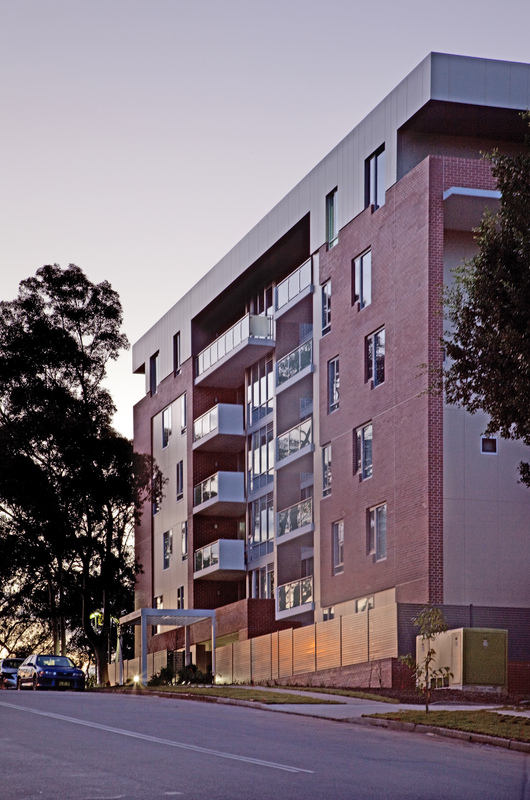 The first site, known as Shortland, is located at the north-western end of the precinct, adjacent to the station. 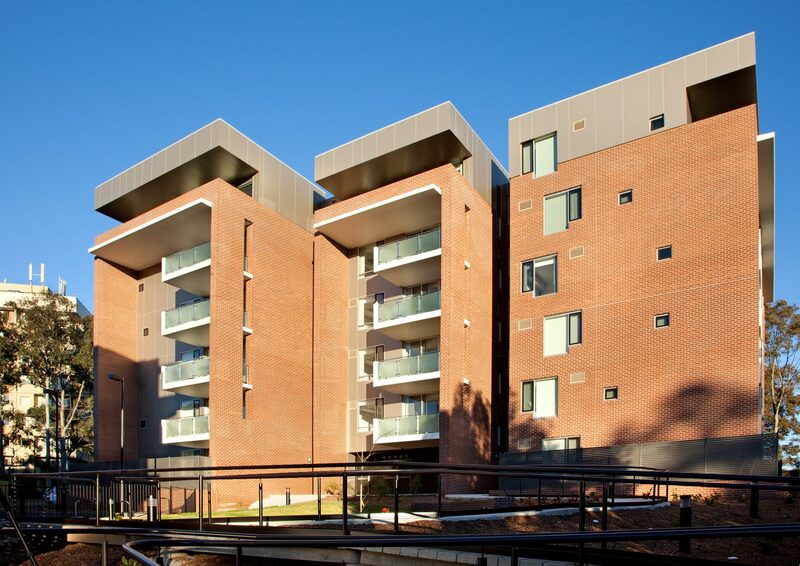 The other, known as Moffatts, is located at the south-eastern end of the precinct. 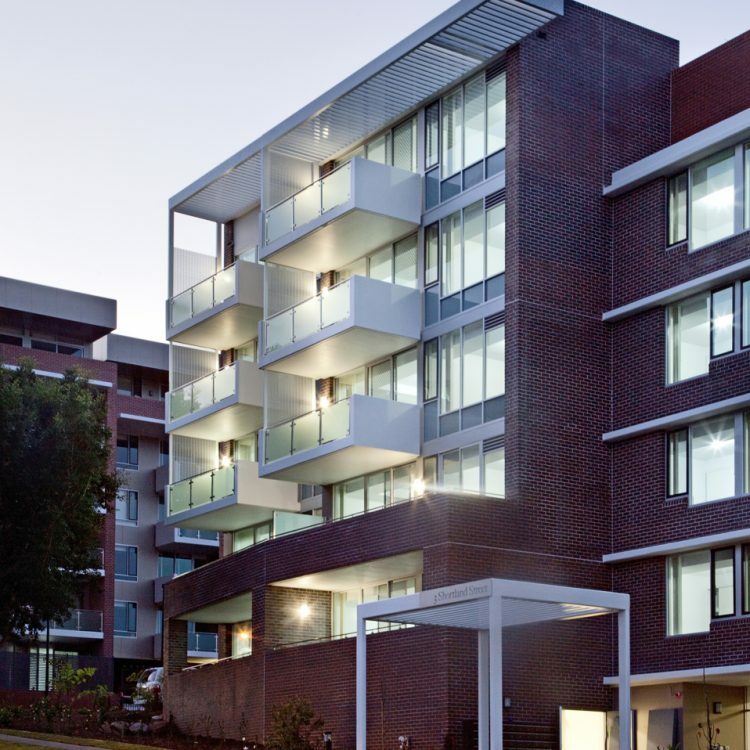 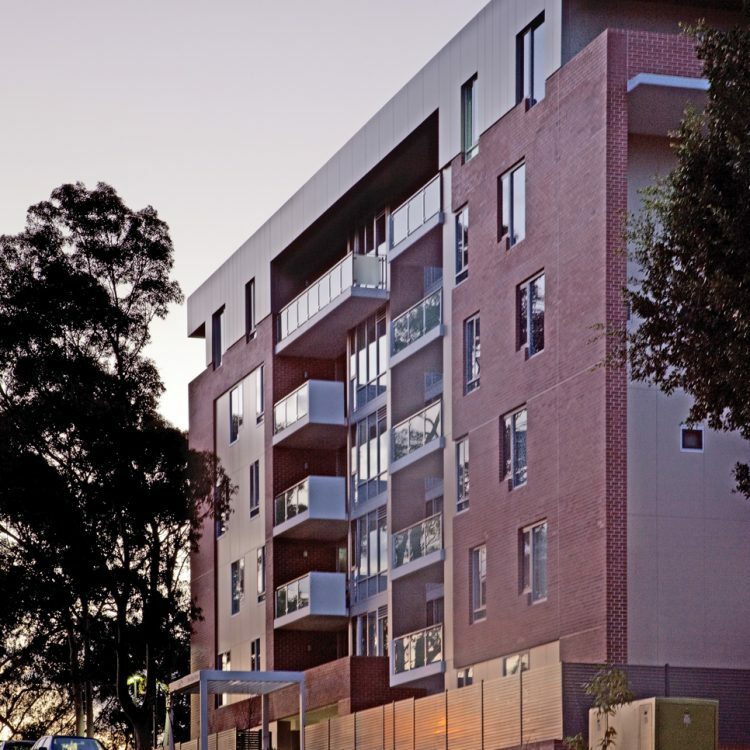 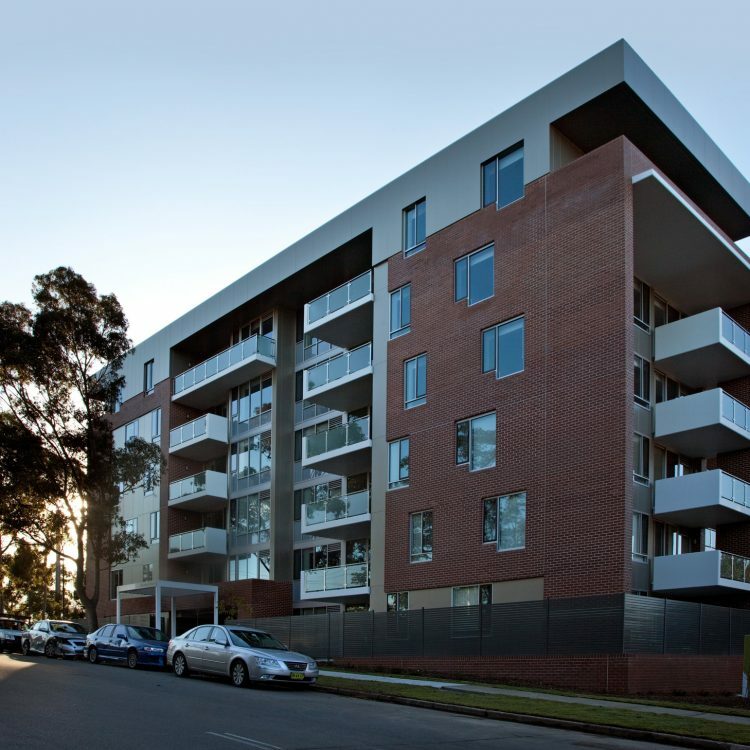 The buildings are residential, providing a total of 151 apartments, and are exclusively used as affordable housing by Hume Housing. 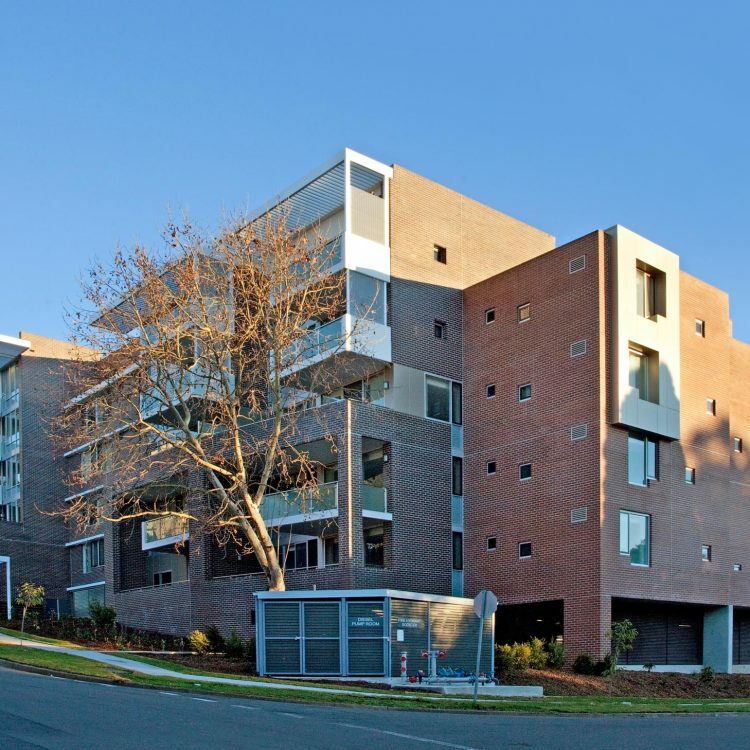 Shortland is divided into two buildings of 6- and 5-storeys; Moffatts has a single building of 6-storeys. 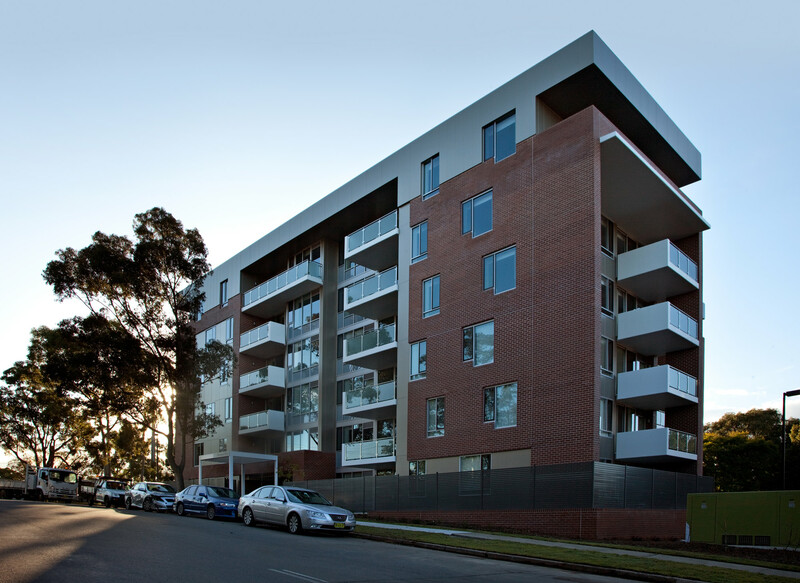 Due to the natural topography, the buildings are stepped along the street frontages. 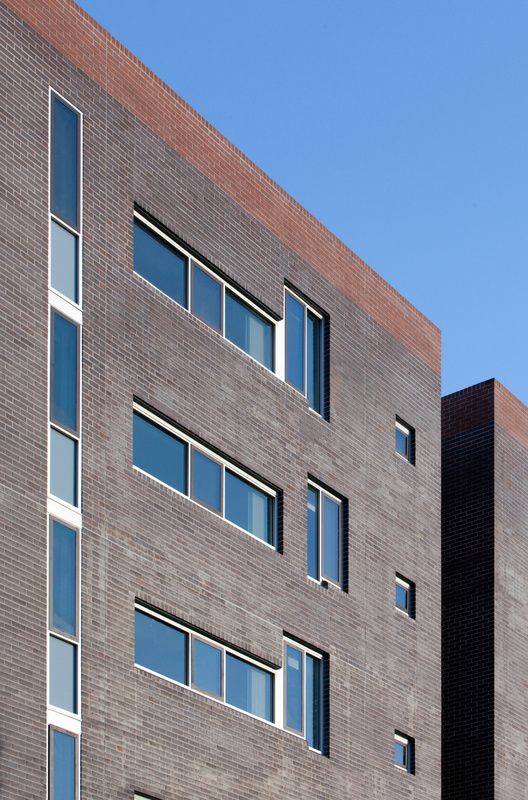 A common language of face brick, metal cladding and fenestration flow through the three buildings. 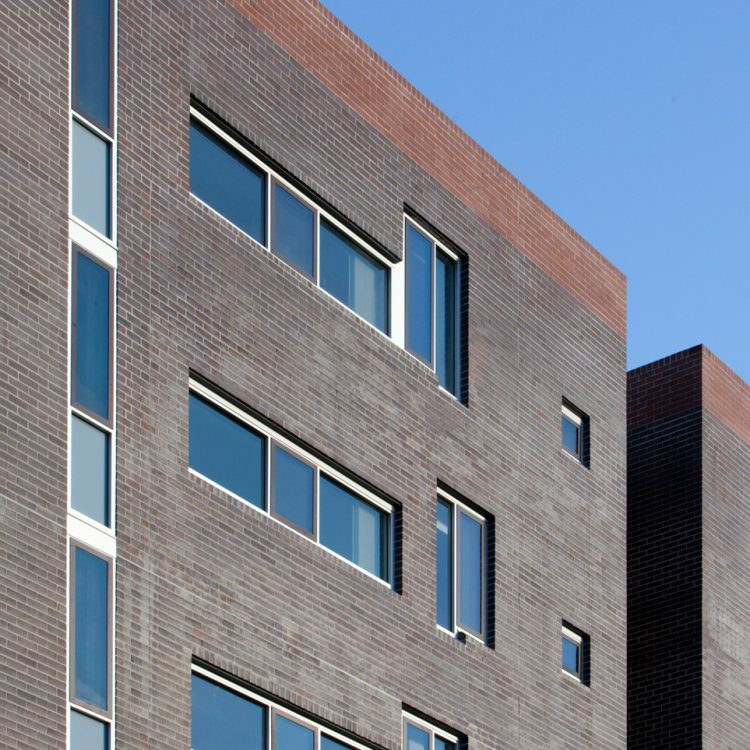 The plans and sections of each vary, allowing differing characters, while providing a coherent materiality that knits the development together.